In 2016 Alaska Airlines leadership wanted to rebrand the company to reflect its Alaska heritage as well as its national presence. The redesign impacted every customer touchpoint, from the web and mobile apps, to airport signage, to aircraft liveries and onboard experiences. UX Design Manager. I was responsible for the redesign of Alaska's online experiences to support the overall corporate rebrand. I ran the project, managed the 12 UX and visual designers on the project, reviewed all design work, and finally led all stakeholder meetings. launch every channel (online and offline) on the same day as the brand reveal --a first for the airline. Here's what the work look liked prior to the redesign. My first task was to work with stakeholders from Marketing and development to align expectations. 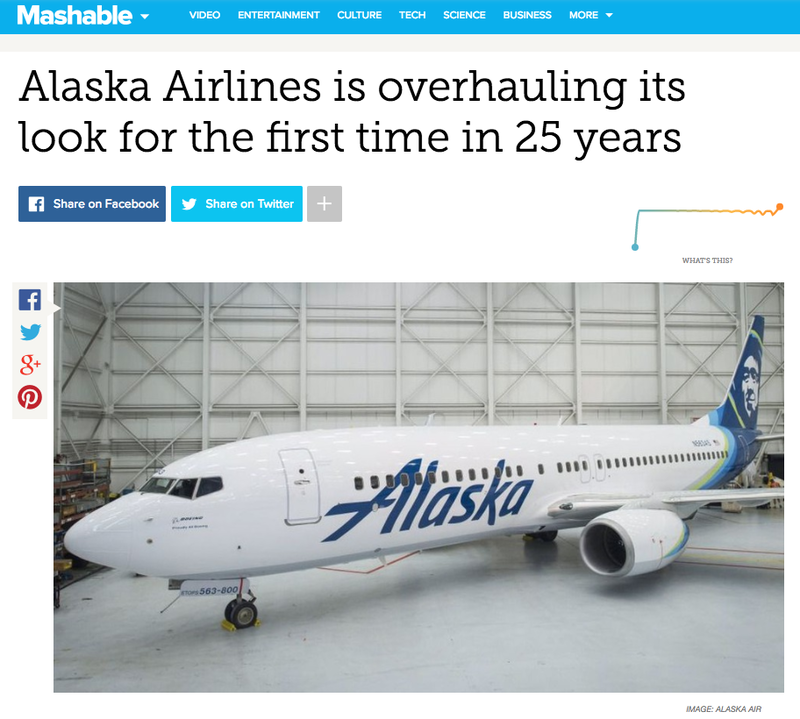 This included meeting with the outside brand agency Alaska Air hired to flesh-out the new brand guidelines. From there we established a daily design session wherein all designers on my team worked together on applying the brand elements to our channels. These working sessions culminated in afternoon design critiques wherein all design work was posted and everyone was free to comment on it. This was complemented with a weekly design review by the Marketing team and the brand agency. A sample stakeholder review session. As design concepts stabilized I initialized a series of A/B tests to evaluate every critical element of the design concept. These tests helped verify our design decisions and provided insight into aspects of the design that needed more work. The redesigned homepage addressed the overall brand, but it also performed well from a conversion perspective and it performed well in user testing. We A/B tested several design options on the flight search page before settling on the one on the right. This page is critically important in the customer shopping experience. One of the more significant elements behind the redesign--and something that set the design and development team up for future success--was the development of a style guide/pattern library by my team in combination with a front end developer. The updates were part of a larger brand reveal, including all digital properties (mobile apps, web, kiosks, airport electronic signs). Here is the before/after of the various properties. All the digital interfaces before this redesign. All the digital interfaces after this redesign. Customer feedback to the redesign was extremely positive. Some tweets from happy fliers. "[Jerrod] helped grow my team into one that is cohesive, respectful, and respected for our design leadership in the organization. His hiring process raised the bar and brought in talented teammates, while his coaching helped everyone on the team to recognize our strengths and opportunities and grow in both areas. He balances data-driven design with best practices and common sense."